USA Swimming LEARN provides multi-dimensional education and resource opportunities for athletes, coaches, parents and officials at all levels of swimming. The goal of LEARN is to provide a consistent and quality learning experience across multiple disciplines for all USA Swimming members in order to develop new skills and enhance their experience inside and outside of the pool. Your time is valuable! 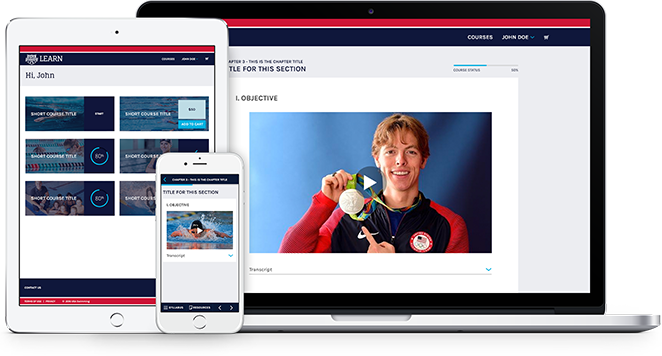 USA Swimming LEARN’s online course platform features a mobile responsive design to allow you to access high-quality education whether you’re at home, on the road, or at the pool. Preventing Bullying will teach you the definition of bullying, how it shows up in the swimming environment, and ways you can maintain a healthy and positive environment on the pool deck. 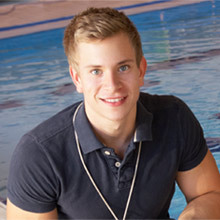 This course is designed for swim parents to understand the Safe Sport program and their role in working with the swim club to provide a safe, healthy, and positive environment for the swimmers. Safe Sport for Athletes teaches swimmers how to be a part of Safe Sport, as well as gives education about healthy boundaries and where to take a concern. "Integer bibendum tellus tellus, nec rhoncus nisi interdum venenatis. Integer rhoncus congue velit, a ullamcorper dolor. Sed blandit augue odio, sed rhoncus ante sagittis in. Proin massa massa, molestie eu accumsan eu, elementum at erat. Donec non nibh sed ligula imperdiet efficitur. Suspendisse potenti."